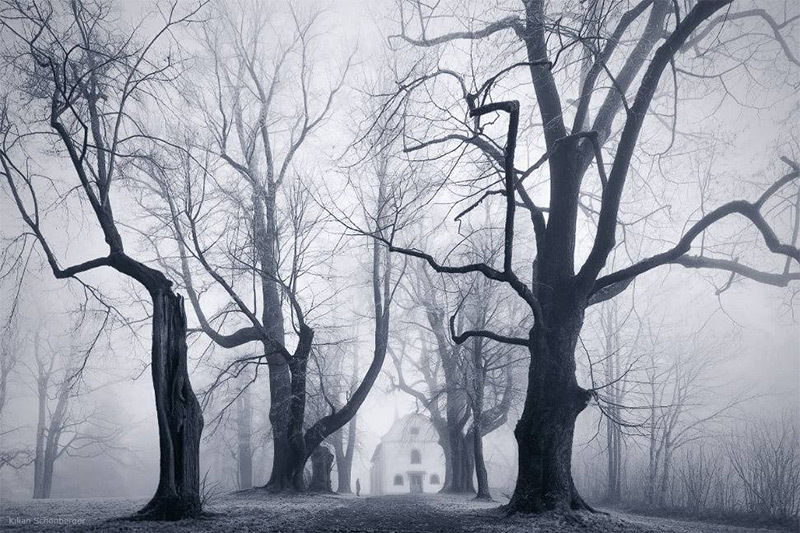 Sometimes you cannot see the forest for the trees. 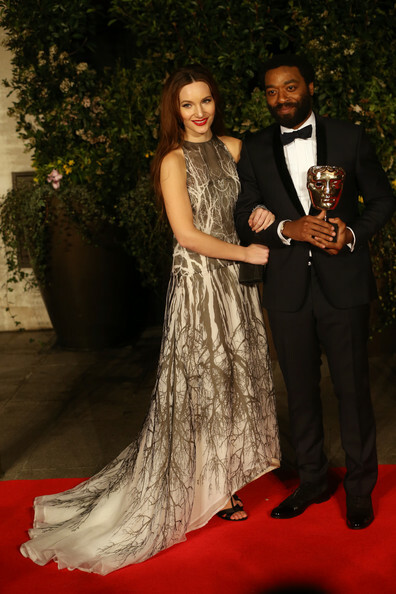 Nothing stood out on the BAFTA red carpet for me last weekend, except for this gorgeous Maria Grachvogel dress on Sari Mercer. It had me seeing multiple forest views. 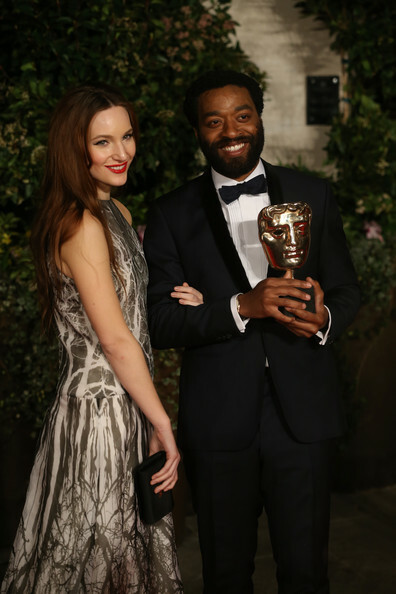 Sari Mercer with Chiwetel Ejiofor at the 2014 BAFTAs. Czech Bohemian Forest photo by Kilian Schönberger. I have always loved the play of light and dark. The dress stood tall amongst the jungle of tulle and crystals. It sang to me – and a tune I love, at that. Sometimes, that crystal clarity lies in mixing black and white, or in the purest of bass riffs, such as the one found in The Cure’s A Forest. 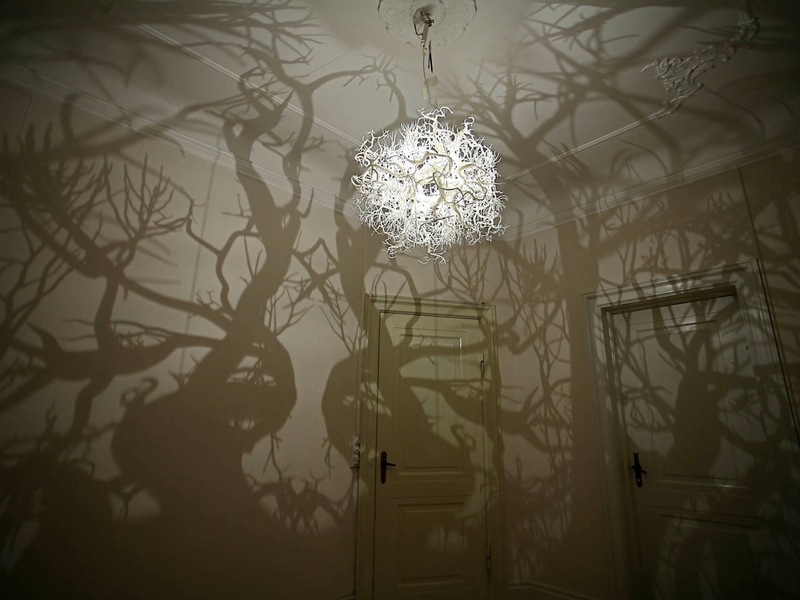 Forest projection chandelier by Hilden & Diaz. My musical roots can be traced back to that bass line and my love of fashion, too, grew from the gothentic branch of The Cure’s music. It’s sacrilege that kids today clap along to the end bit of the song, when it’s played live. We just played it cool and let our eyeliner smear when the tears rolled down our faces. In this case, the girl was really there, and it’s never, ever been the same. More forest fashion. More gothentic forests. More gothenticity, in general. Past BAFTA red carpets. and originally sourced from the wonder that is Colossal - one of my favourite online pastimes.